If you want to be able to mirror the display from your HD television or projector to your computer and get the absolute best picture and sound quality imaginable, you can’t afford to use just any cable. The aLLreLi USB 3.1 Type C to HDMI is engineered with performance in mind, so you can enjoy the clearest HD picture imaginable. The aLLreLi USB 3.1 Type C to HDMI Cable fully supports the latest technologies and can handle maximum resolutions of 4Kx2K. Gold-plated connectors ensure optimal transmission of signals no matter what type of HDMI device you’re using. As a result, you’ll get the full benefits of HD picture quality and cutting edge sound. 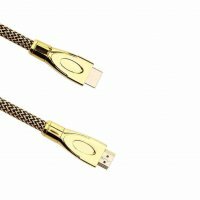 Crafted to stand the test of time, the aLLreLi USB 3.1 Type C to HDMI Cable makes setting up your computer system as easy as can be. Our cable features plug and play functionality, eliminating the hassles of having to install drivers or spend time downloading software prior to use. 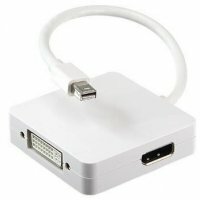 Just connect one end to the USB 3.1 Type C port on your computer and the other to the HDMI output on your television or projector, and you’re ready to go.